FDI in Multi-Brand Retail – Worth a shot for the benefits ! 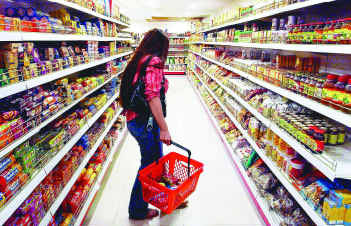 Recently a Committee of Secretaries, headed by Cabinet Secretary Ajit Seth, passed a proposal for FDI in retail. At present, India allows FDI only in single brand retail chains like Nike, Louis Vuitton etc with a cap of 51%. It also permits 100% overseas investment in wholesale cash-and-carry format. The Cabinet note, circulated by the Department of Industrial Policy and Promotion (DIPP), proposes multinational multi-brand retailers like Wal-Mart, Carrefour and Tesco to set up stores in cities with population of over one million (according to 2001 census) which would include 36 cities. The proposal also has a rider that foreign retail giants will have to invest a minimum of $100 million, half of which must go to the back-end infrastructure like cold storage, soil testing labs and seed farming. This development is critical as retail industry in India has an employment rate of 7% and given its potential, it is stipulated to grow in such a fashion that can alter the fundamentals of the economy for good. The retail industry is divided into organized and unorganized sectors. Organized retailing refers to trading activities undertaken by licensed retailers, that is, those who are registered for sales tax, income tax, etc. These include the corporate-backed hypermarkets and retail chains, and also the privately owned large retail businesses. Unorganized retailing, on the other hand, refers to the traditional formats of low-cost retailing, including the local kirana shops, owner manned general stores, paan/beedi shops, convenience stores, hand cart and pavement vendors, etc. India’s total retail sector is estimated at $590 billion, of which unorganized accounts for more than 90%. Currently a few big players like Walmart and Carrefour have set up joint ventures in India in the cash and carry format waiting for the FDI norms in multi-brand retail to be opened up. Apart from these foreign names, there is intense competition among Indian players in the retail segment- many of such players are still struggling with their bottom line. Aditya Birla Retail having 554 supermarket stores and nine hypermarkets under the brand name of More is one of the prominent players and is expected to achieve profitability by 2013. Reliance Retail, another big name, with around 1,150 stores achieves $1 billion revenues but is yet to see profitability. Titan, a major retail player in watches segment has 650 stores today and plans to add 300 more in 2011-2012. Future’s group through its Big Bazaar outlet and Shopper’s Stop of Raheja Corp. has been in the eyes of the masses since its establishment in 1997. While these big players have intense competition among them, they still occupy only a small part of the retail market, the rest being occupied by the unorganized players – the smaller kirana shops and convenience stores. The discussion on opening of FDI in retail sector is being seen as threat to these small players. According to a PwC-CII paper, there are 12 million such Kirana stores. 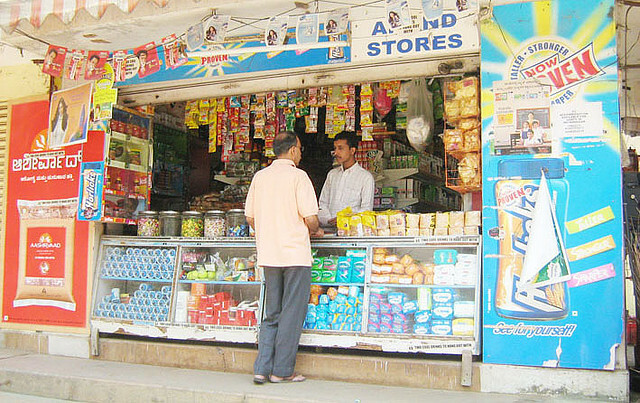 A huge segment of the country’s population makes their livelihood from these kirana stores given the small investment required for setting up a small round the corner store. Opening up of retail for foreign giants will also poses a threat to the local industry. It is being feared that these companies will import their products from cheap markets and kill the local industry here. It is also argued that the global retailers will initially reduce prices drastically with a view to oust local competition. Once they have successfully established their operations, they would raise back the prices. A just fear but exaggerated to say the least. The retail industry in India is big enough a market for everyone to get a share of the pie. Also the government will certainly take prudent steps to ensure that development of local markets and supply chain become part of the business plan of these companies which can be seen in the covenants it has included as part of the FDI proposal (investment of a minimum of $100 million, half of which must go to the back-end infrastructure like cold storage, soil testing labs and seed farming). We also need to think whether the big players would really be a threat to the kirana stores? If yes, to what extent? Kirana stores, as we know them have strong presence in rural and semi-urban tier II and tier III cities. They are preferred highly for their convenience and home delivery services. Long standing relationship of families with kirana stores enable them to open standing credit account facilities with the kirana stores. This is something, which will be very difficult for the big players to adopt. The big stores can never duplicate the convenience and the personal relationship in its entirety. Moreover, unlike in the West, the kirana stores will continue to be a part of the Indian scenario for several years given the shopping styles of consumers (only a fraction would be interested in driving to huge stores to stock up items for the entire week). The culture of shoppers to shop daily coupled with lack of storage space make the kirana store a part of the Indian middle class. Opening up would do our FDI a lot of good by boosting it, which dipped by 25% to $19.42 billion in 2010-11 from $25.83 billion in the previous fiscal. Apart from this, India has also been fighting with the spiraling inflation, which has been driven by supply side deficiencies. According to estimates 40% of fruits and vegetables are wasted. The solution to all this is to improve the supply chain, cold storages and technology which can be enabled if there are huge investment inflows into these. With a view towards this the government opened up the wholesale business for FDI. Unfortunately, opening of the backend does not resolve the issue, as the companies are not interested in investment unless they can harness huge profits from access to the front end. Also the access to front end due to the co-ordination between frontend and backend put together is the only way that you can deliver lower cost products to the consumer. Better supply chain and technical knowhow would ensure that the transit of produce from farm to shop floors is smooth. With the elimination of middlemen, the prices will also be reduced thereby benefitting the consumer. Contract farming will benefit the farmers. Better prices for their farm produce and timely sale of the perishable goods can help the agriculturists earn more. Interesting aspect to know here is that the existing retail players in India like Aditya Birla Retail (More) and Future Group (Big Bazaar) are welcoming the FDI proposal. For these multi format retailers, FDI will mean ready availability of equity funds without taking the risk of excess leverage. The funds will help in executing their expansion plans and thereby offer better revenue visibility. Also the foreign partnership would bring it greater expertise in improving efficiencies and setting up backup infrastructure. The threat from foreign players is also reduced by the fact that these players already have store presence in key market locations, something which will be difficult for new players to get and hence the upper-hand. Moreover, with the complexities of Indian markets like complex and high inter-state taxes, high working capital requirement, lack of automated operations etc would require handholding of foreign players for the next 5-10 years which is an opportunity in itself to learn and grow for the Indian players. Given the dynamics of our country, the policy makers have liberalized the economy and the industry segments in a phased and cautious manner. This is what is needed for the retail industry too. Indian companies need money to grow, the sector needs investments for development and the sector is attractive to players who are ready to invest. What’s needed for a win-win situation is a phased and planned introduction of FDI in the segment. It will take another 10-15 years before multiple brand formats become the trend in the country. The same is the period required for the foreign players to learn the market and set up necessary infrastructure. Yet, the kirana stores would never go out because of the reasons like comfort and convenience. The future will see consumers divide their purchases between kirana stores and modern retail outlets. Oil Price Hike – A Necessary Evil ! Government recently raised the prices of diesel, kerosene and LPG cylinder on 24th June 2011. With the increase in prices of diesel by Rs 3 per litre, cooking gas (LPG) by Rs 50 per cylinder and kerosene by Rs 2 per litre, there has been a huge outcry about its impact on the economy and the masses. It also eliminated the 5% custom duty on crude oil and reduced the excise duty on diesel from 4.6/l to 2.0/l which will further increase the fiscal deficit. With the increasing inflation constantly biting the government which is already bruised by multiple controversies in terms of XIX Common Wealth Games Fiasco, 2G scam and social movement by Anna Hazare & Baba Ramdev, the questions arises if the hike in prices is wrong move or a bold move? With as estimated losses of INR 1,77,000 crores in FY12, government has tried to reduce the losses to an extent of INR 21,000 crores through price hike and INR 49,000 crores through reduction in taxes. These losses occur because the oil that is used in the form of diesel, kerosene and LPG is available to us at a huge subsidy from international market rates. The OMC – Indian Oil, Bharat Petroleum and Hindustan Petroleum were losing INR 18.11 per litre of diesel, INR 28.33 per litre of kerosene and INR 315.86 per 14.2 kg of LPG cylinder – before the recent hike. This loss burden is shared to the extent of 33% by upstream companies (ONGC, Oil India & GAIL), and the remaining by Government of India through Oil Bonds and the OMCs. Another worrying factor is that subsidized oil prices have led to diversion and wasteful consumption of certain petroleum products. Due to artificially depressed prices for diesel, the demand for industrial products such as FO, LSHS, Naphtha, and LDO has been partially substituted with increased consumption of diesel by certain industrial consumers in sectors such as cement, coal, steel, and mining etc. for captive power generation. The cumulative weight of diesel, kerosene, and LPG in the Wholesale Price Index is about 6.3%. With the upward revision in prices last week, headline WPI inflation will increase by about 65-70 bps (direct impact) over Jun-Jul 2011. Apart from this the transporters will feel the pinch from the hike in diesel prices and will pass on the cost to the users causing inflation to rise by approximately another 20-30 bps indirectly. The price hike can be considered a bold move given the fact that the government would be taking a hit on the fiscal deficit for FY12 after its move to reduce taxes which will give benefit to the oil PSUs to the tune of INR 49,000 crores. With expected oil subsidy of INR 40,000 crores in FY12 the fiscal deficit to GDP ratio is likely to touch 5.5% vis-à-vis the government target of 4.6%. The advantage of the price hike would be first and foremost in terms of reducing the losses of the oil companies. Moreover the step by government to increase the prices amidst so much opposition can be taken as a feeler that the government is willing to break the decision inertia, which is most certainly expected to improve the market sentiments and confidence in the government. Also the move towards price hike and deregulation is expected to create level playing field for private players. Not only on the downstream front, but also on the upstream side, price deregulation would attract huge investments in the refineries. Swaminathan S. Anklesaria Aiyar in one of his articles, proposes to revive the Oil Pool Account (OPA), which in the 1980s and 1990s smoothed fluctuations in product prices. When price control imposed losses on oil marketing companies, they got compensating cash from the Oil Pool Account (OPA). If, however, world prices dropped below the controlled Indian price, the surplus went into the coffers of the OPA. A similar situation occurs today when the prices of crude oil are on a decline and creation of an OPA account would help in creation of surplus if the government doesn’t gives in to pressure to reduce oil prices. Further there is a need for phased abolition of subsidies as advocated by Kelkar committee in 1990s. The recommendations of the committee have not been implemented till date because of political reasons and for appeasing the masses. Learning can certainly be taken from countries that implemented oil price hike/deregulation and took steps to mitigate the effect and protect the poor. There is a strong need for oil price hikes to be taken more rationally and at the same time stronger and sincere efforts from government to implement measures to soften the impact of price hikes. A necessary evil it is, to be managed and never to be let out of sight. A more detailed discussion paper can be downloaded from the Downloads section of the blog.